Are you looking for a way to fix the “Pin to Start” option is missing from Context Menu in Windows 10? Actually, it is possible and in this tutorial, you will check step by step instructions on how to that. Pin to Start is the feature of Windows 10 that let you add the programs or applications in the Start menu. 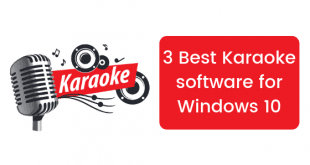 It is really a useful feature to quickly launch the application which you use the most on your Windows 10 PC. 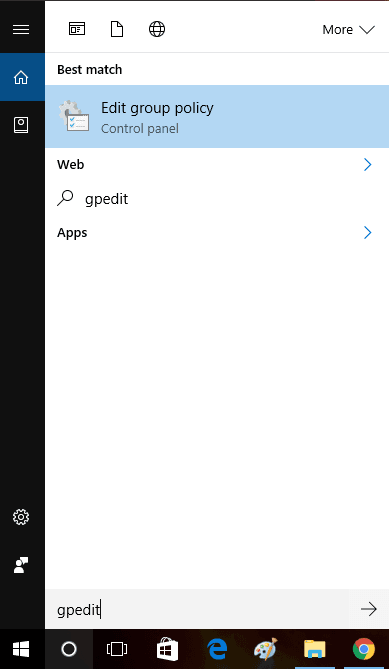 To pin the supported file type into the Start menu, you just need to make right click on the file and from the context menu select “Pin to Start” option. 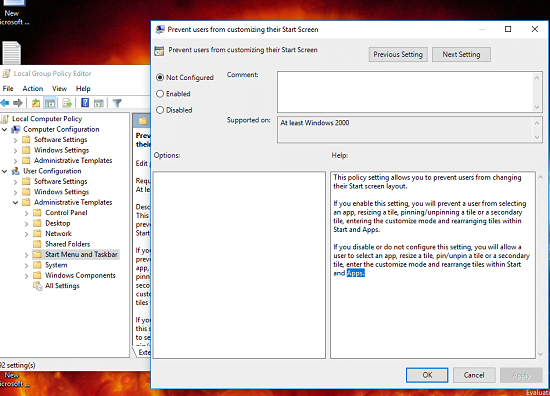 To pin the supported file type into the Start menu, you just need to make right click on the file and from the context menu select “Pin to Start” option. Lots of users complaining that when they are doing right click on the folder, application, shortcut or even on a .exe file, they do not see Pin to Start button in the context menu. Sounds strange right? 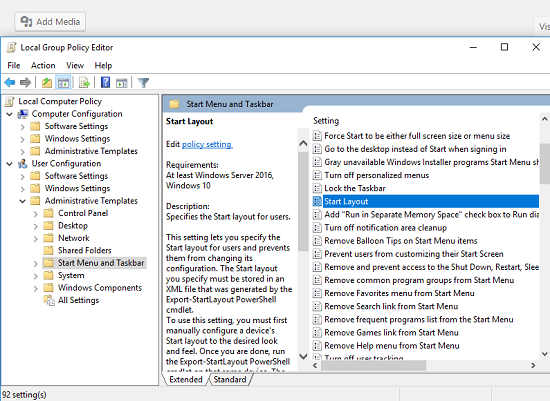 There are two Policy settings named as LockedStartLayout and NoChangeStartMenu, if both the settings are enabled, these policies will stop users from altering the Start menu. Due to this reason, you won’t see Pin to Start option in the context menu. 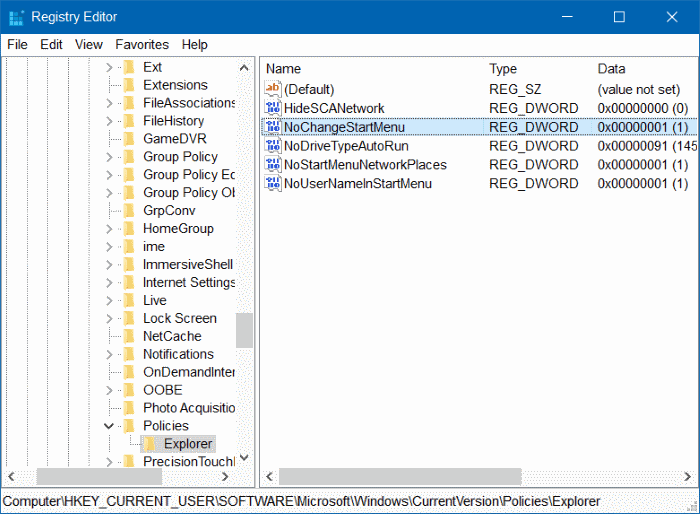 These policies can be enabled via Group Policy Editor or using the Registry Editor. If your computer is connected to a domain then these policies may be enabled (Registry or Policy Editor) by Administrator, then you can tell him to disable these policies. If that is not the case, then these policies are automatically enabled by the third party tool. Note: The following method is only applicable to Windows 10 Enterprise and Pro editions users. As Group Policy Editor is only available in these editions of Windows 10. 1. 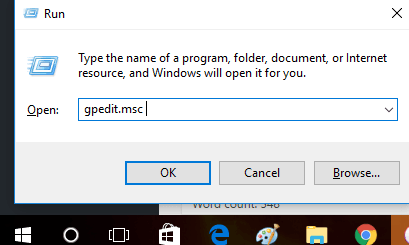 Simply type Gpedit.msc in the Windows 10 Start menu search bar. In the results, you will see Edit Group Policy option. 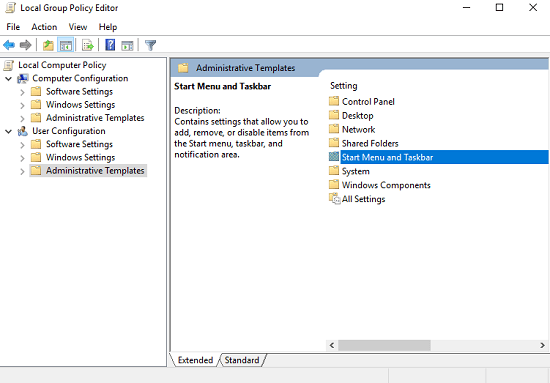 Click on it to launch Group Policy Editor. When UAC screen appears, click Yes to continue. 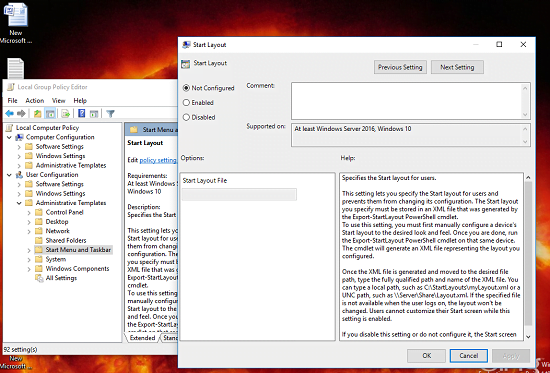 Alternatively, you can press WIN + R keys to launch Run Dialog box, type Gpedit.msc and hit enter to open the same. 3. On the right-pane, you need to look for a policy with the name “Prevent users from customizing their Start screen.” You need to make a double-click on it to launch its Properties. Here in this window, you need to select the Disabled radio button and click Apply to disable this Policy. 4. After that look for Policy with the name Start Layout. Again double-click on it to launch the Properties windows. Here you need to choose the Disable radio button and click Apply to disable this policy. That’s it! Restart the system and now you will be able to Pin items to the Start Menu. If you are still unable to do it, try the next method. 1. 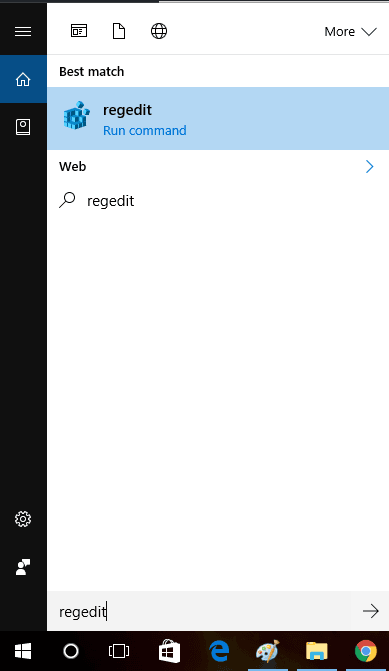 Simply type Regedit in the Windows 10 Start menu search bar. In the results, you will see Regedit command option. Click on it to launch Registry editor. When UAC screen appears, click Yes to continue. 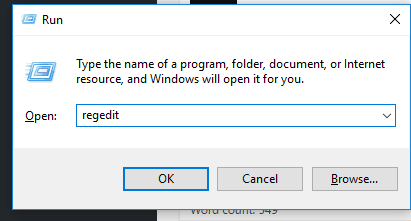 Alternatively, you can press Win + R key to launch Run dialog box and then type regedit and press OK to launch the Registry Editor. On the right side, look for the DWORD values named as NoChangeStartMenu. If the DWORD value is listed there, Right click and from the context menu click on delete option. Again look for the DWORD values named as NoChangeStartMenu. If the DWORD value is listed there, Right click and from the context menu click on delete option. 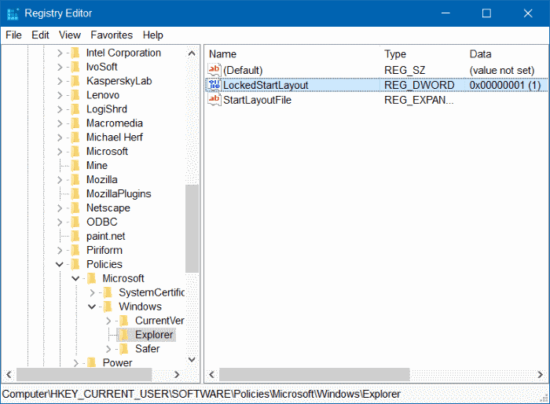 Here on the right panel, look for the registry value named as LockedStartLayout. If the value is listed there, Right click and from the context menu click on delete option. Note: You will only see this policy if the above-mentioned policies are enabled. If you’re not able to find the above-mentioned DWORD values in the following Registry keys, then you can download Restore Pin to Start Option (from here) in Context ZIP file -> Extract it -> Run it. When UAC screen appears, click Yes to continue. Reboot your computer and you will see that Pin to Start option is now available in the Context menu. Why don’t you try this workaround and let us know, if you find it useful or not.